Mortgage Industry Training at the Best Possible Price! At Mortgage Broker Training we offer a course portfolio of the best accredited training programs for the Mortgage and Finance industry. We pride ourselves on superior trainers, educational facilities and student satisfaction levels. 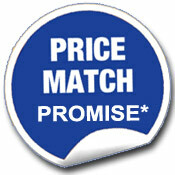 We also take great care to ensure that out training prices are competitive within the marketplace. Of course we appreciate that you may want to shop around and look for the best possible price.Thats why we offer you our Price Promise. If you do happen to find that the price of a comparable training course is cheaper with another institution, we will match it. Simply notify one of our friendly associates via telephone or email , and after we have verified the lower price, we issue you with a training invoice at the reduced price. *Price matching only takes place where the training product and delivery method is comparable to that offered by Mortgage Broker Training. Training must be available from our competitor within the same city or town in the same month. When offering a price match with a lesser face-to-face component, a blended training option with reduced Trainer contact will be offered to the student. 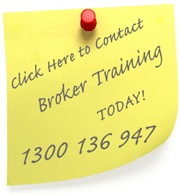 The Mortgage Broker Training Price Promise does not extend to non-RTO providers, non-accredited courses,one off specials or wholesale training rates.